Babblings of a Mommy: Yo Gabba Gabba Prize Pack!! Yo Gabba Gabba Prize Pack!! 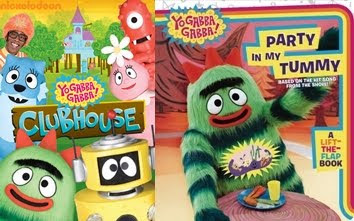 Don't forget to enter to win the Yo Gabba Gabba Prize Pack HERE!! It includes Yo Gabba Gabba Clubhouse DVD and There's a Party in Tummy book for your little kiddies!! Also remember to check out the Yo Gabba Gabba Live: There's a Party in my city tour! !